We had fun helping to raise lots of money for Comic Relief. The total amount raised was £914. Christmas Jumper Day was another successful fundraising event for us. Money raised on the day and at Holy Trinity Church came to a fantastic £393.83. We enjoyed helping to raise money for Children in Need. Click on the star below to read more about fundraising. 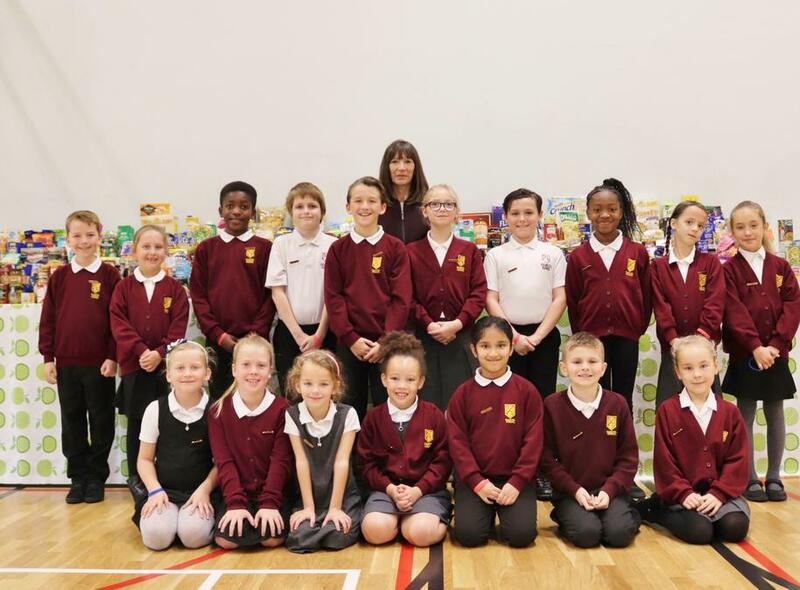 Our first task, as newly elected School Councillors, was to help display all the donations for Southend Foodbank ahead of the Harvest Festival assembly. Click on the star below to see us in action. Elections took place in every class in the school when the children voted for one of their peers to represent them on the school council. Our school council works hard over the year to help make the school even better as well as support in whole school events such as Children in Need.